Replacement Suggested “displays on the projection screen. Replace the lamp immediately. Other warning signs may be a dim picture, color that appears washed and a image that is faded. 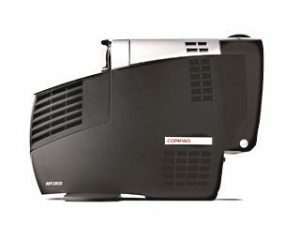 The Compaq MP2800 projector uses the Compaq 215464-001 projector lamp. Be sure to invest in authentic. 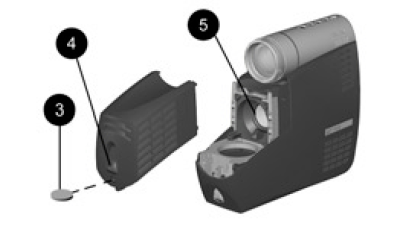 Be sure to install an authentic Compaq MP2800 projector lamp. There is nothing more frustrating that having your Compaq MP2800 projector shut down as you are trying to use it. Why should you avoid counterfeit lamps? With their shorter life and no safety guards to protect your eyesight, counterfeit lamps cause more long-term problems. From exploding inside projectors and damaging your projector beyond repair to the carcinogenic, toxic substitutes, counterfeit lamps end up costing you more money in the end. Step 1: Turn off the power to the projector by pressing the blue Standby button . Step 2: Allow the Compaq MP2800 to cool down for at least 30 minutes. Step 3: Disconnect the power cord. Step 4: Use a coin to loosen the screw  on the Compaq 215464-001 lamp module. Step 5: On the front of the Compaq 215464-001 lamp slide up the latch to release it from the projector base. Step 6: Pull out the Compaq 215464-001 lamp module. NOTE: The used Compaq 215464-001 projector lamp contains mercury and should be properly recycled. Don’t throw it into regular garbage. Step 7: Place the new Compaq 215464-001 projector lamp into the projector taking care not to touch the actual bulb. Oil residue from your fingers will cause black marks on the lamp when it starts to heat up. Step 8: After making sure the Compaq 215464-001 lamp is in securely, press down the release latch to lock the lamp in place. Step 9: Tighten the screw in the new lamp. You are now ready to reset the lamp timer. 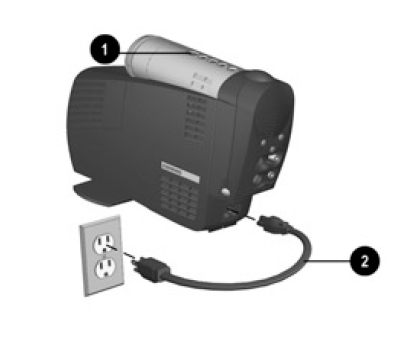 Once you have replaced the Compaq MP2800 projector lamp you will need to reset the lamp timer so the projector can accurately track the lamp hours. The projector will no work properly with the new lamp until the lamp timer has been reset. 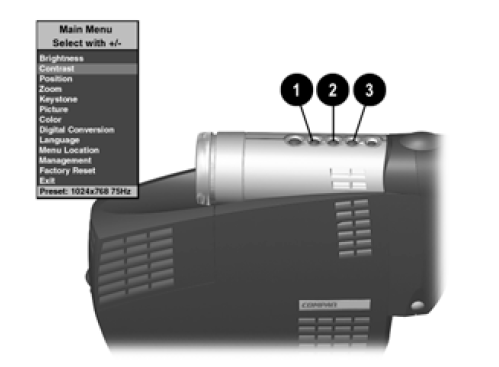 Press the Select button on the projector panel or the remote control. The Main menu will display on the projection screen. To select a function, press the Minus (-) button  to scroll down the Display menu. To reverse the scroll direction, press the Plus (+) button . Scroll down to the Management selection. Press Select to display the secondary menu. Scroll down to Lamp Hours. Press Select to display the third level menu.